March 1, 2010 - LOVES PARK, Ill. – Rockford RiverHawks fans 12 and under can bank on a good time this weekend. 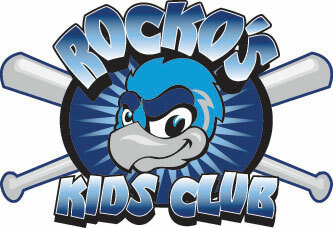 Rockford’s only professional baseball team announced Monday its Rocko’s Kids Club Kickoff event, scheduled for 10 a.m.-noon Saturday at Riverside Community Bank. Prizes from Kids Club sponsors Riverside Community Bank and CoCo Key Water Resort will be given away at the free event. Mascot Rocko the RiverHawk will be on hand to greet fans and sign autographs. Hot dogs, chips, cookies and beverages will be served at the event. Club members can register for prizes, including video games and a DVD, from Riverside Community Bank. New members who join the club on Saturday and open a $25 savings account will receive a $10 bonus from the bank. New members who join the club on Saturday will receive a free day pass to CoCo Key. Discount coupons for CoCo Key and the Clock Tower Resort will also be available. “This is a fun event for children 12 and under and the Kids Club is a great value for their folks,” RiverHawks assistant general manager Todd Fulk said. Riverside Community Bank is located 6855 E. Riverside Blvd. in Rockford, at the Perryville intersection. To sign up for the club, call the box office at (815) 885-BALL or visit the Kids Club page at the team website.